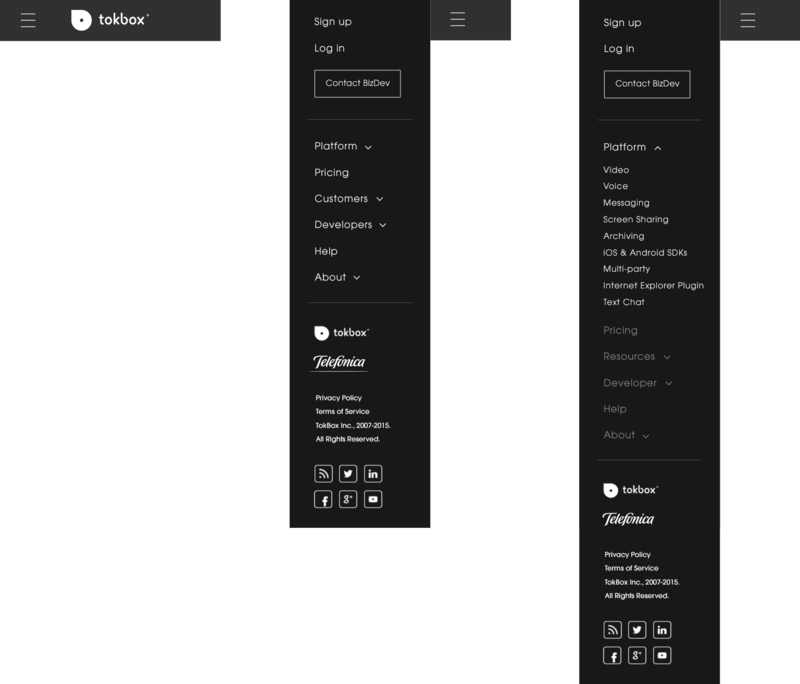 Your go-to guide for website UI patterns. Depending on the browser or device width, our column sizes change dimensions at determined breakpoints. This allows for a fluid and responsive design across most endpoints. We use two different button styles in three different sizes (depending on page context): one for a primary call-to-action and one for a secondary call-to-action. The examples below showcase the hover states and CSS transitions. We use two different font families for our headers and paragraph styles: Avant Garde for all headers, and Muli for paragraphs and input fields. This body copy gives all the pertinent details about the relevant subject. Perhaps there’s also a link to another page with details about a new platform feature, benefits of a recent release, etc. Below are some common examples of how TokBox's typographic styles can apply to a variety of layouts. Some body copy that gives the pertinent details about the H3 above. Maybe this a description of features under a plan, benefits of a new platform release, etc. You can also get more detailed in a larger paragraph like this, which spans the width of container. 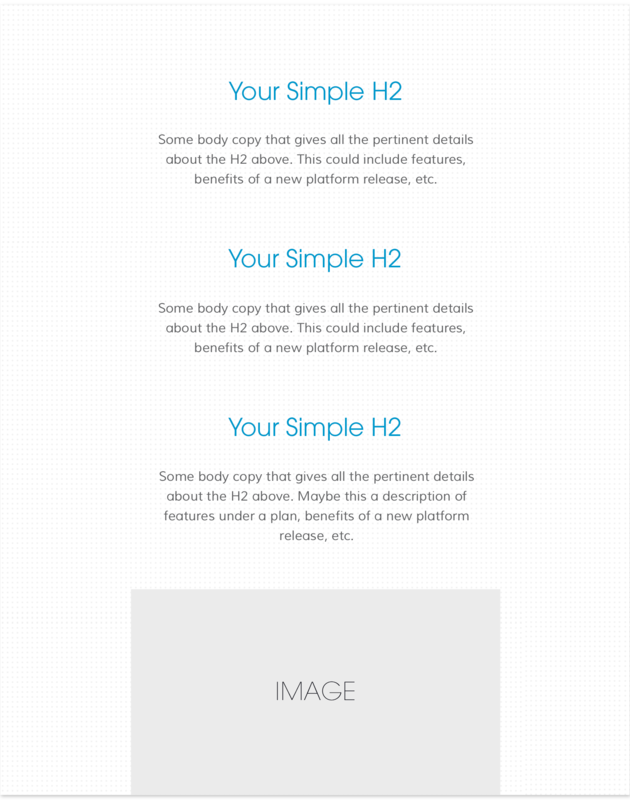 Some body copy that gives all the pertinent details about the H2 above. This could include features, benefits of a new platform release, etc. Some body copy that gives all the pertinent details about the H3 above. The TokBox global navigation is the user's foundation for locating and accessing key product, pricing, and TokBox company information. All product marketing content that lives in the tokbox.com domain should have the below global navigation. TokBox's top navigation is comprised of two sections: the top section gives users clear and unobstructed access to registering for and access their account. The bottom section contains the top level topics that frame the content of our platform, pricing, customer resources and developer center. Desktop default view of the top navigation, including access to the login and sign up registration flow, top-level navigation sections, and a quick access point to contact sales. Desktop view of the top navigation with on-hover dropdown. Default, off-canvas reveal, and expanded views of the mobile navigation. TokBox's footer exposes most of the page on tokbox.com, acting as foundational sitemap for the user. The content templates below illustrate a variety of website UI configurations that follow TokBox design principles. Depending on the content strategy, project goals and audience, you can customize a combination of these templates to create a foundation for any experience on the TokBox website. When building from these templates, please do not crowd content and remember to preserve our brand styles. Announcement banner featuring an H4, in-line link and UI to allow the user to remove the banner. When used, the announcement banner will sit above the top global navigation, spanning full-width. Body banner featuring an H3 and a call-to-action button. Body banner featuring an H3 and an in-line link, in slate gray (below) and rich blue (2nd banner down). 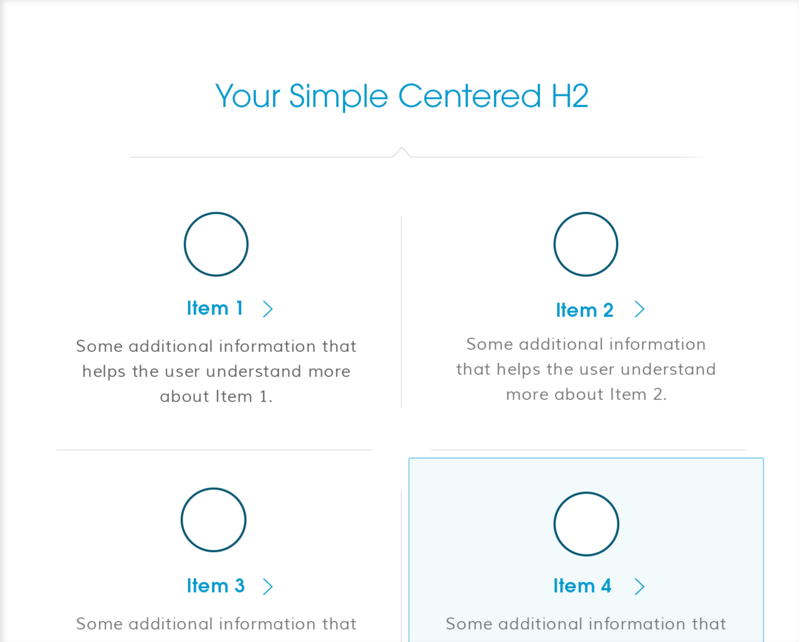 Centered content featuring an H1, H3, primary and secondary call-to-action buttons. 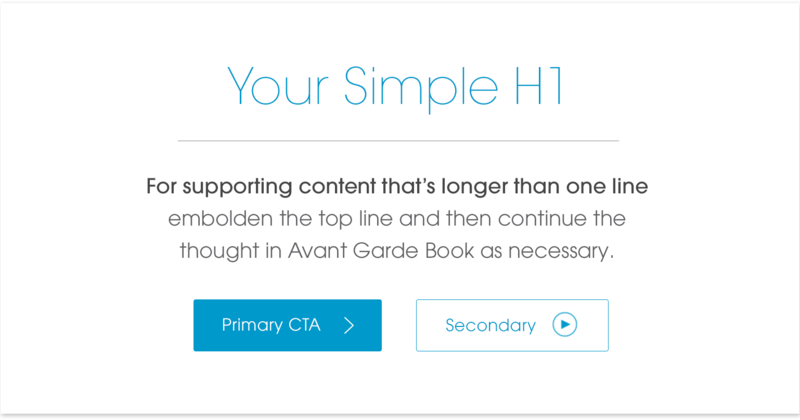 Centered content featuring an H1, H3, primary call-to-action button, and an in-line link. 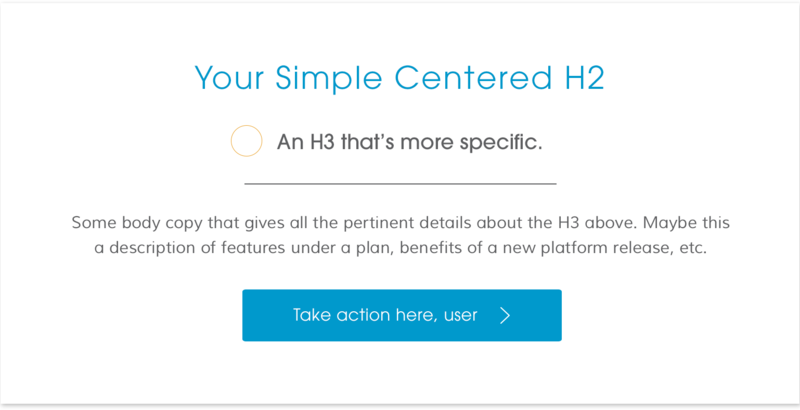 Centered content featuring an H1, H3, and a call-to-action button. 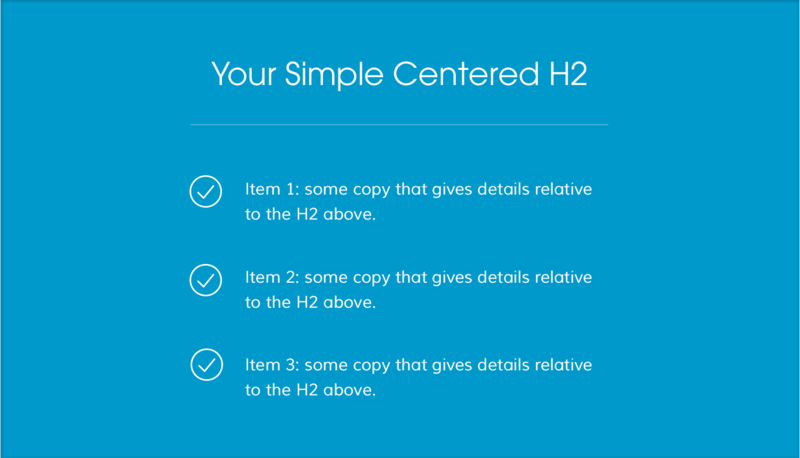 Centered content featuring an H1 and H3. 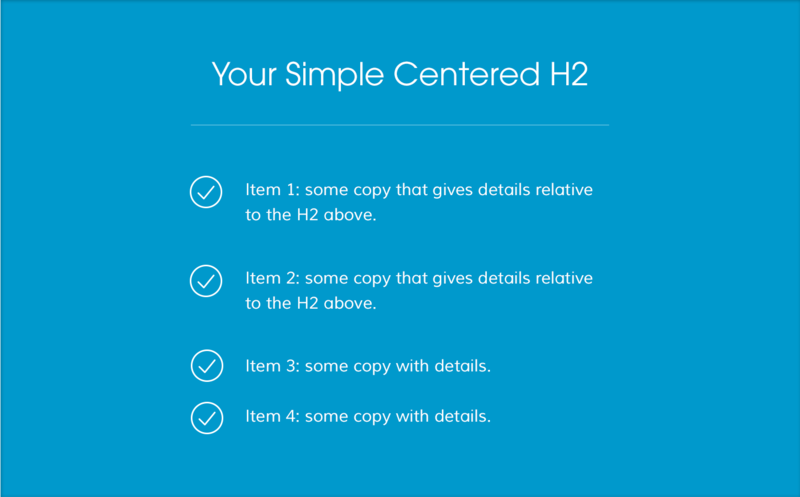 Centered content featuring an H1. Left-aligned content featuring an H1, expanded H3, primary and secondary call-to-acttion buttons. The below image illustrates the template in desktop and large desktop widths. 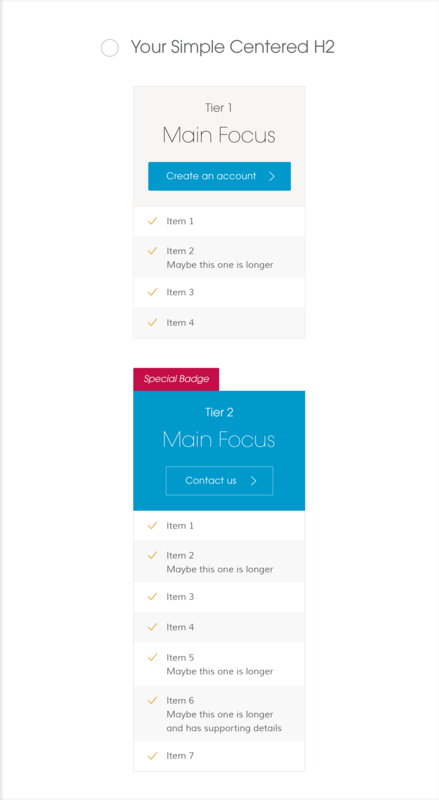 At the tablet and mobile breakpoints, the content automatically center-aligns (see second template below). 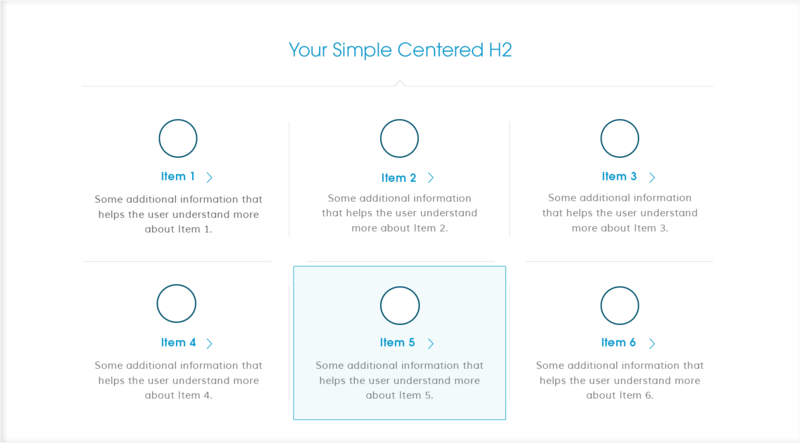 Centered content featuring an H2, H3, icon, paragraph, and a primary call-to-action button. 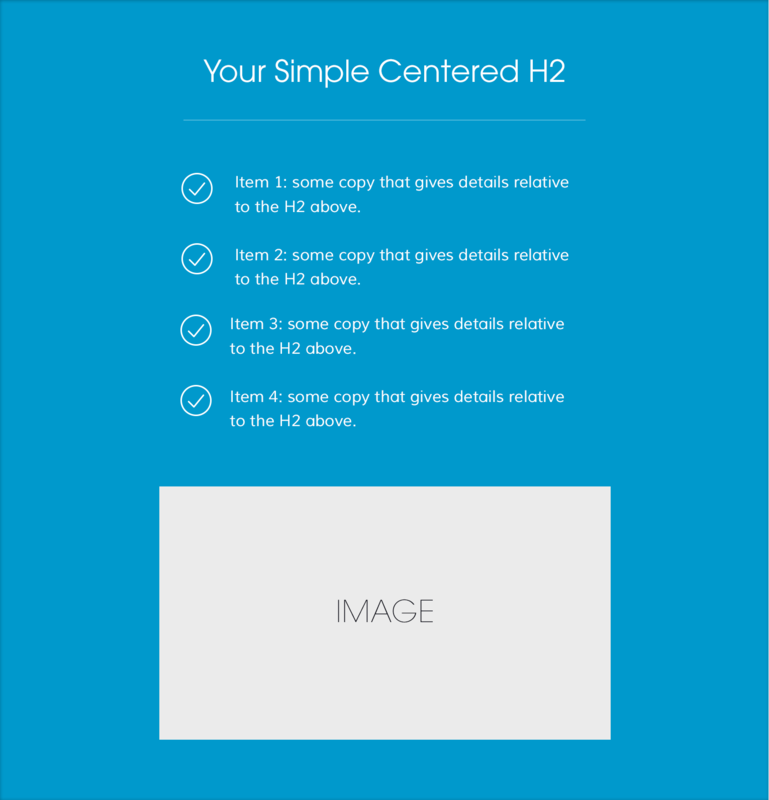 Centered content featuring an H2 in slate gray, icon, paragraph, and a primary call-to-action button. Left-aligned content featuring an H2, H3, icon, paragraph, and an image. Right-aligned content featuring an H2, H3, icon, paragraph, and an image. 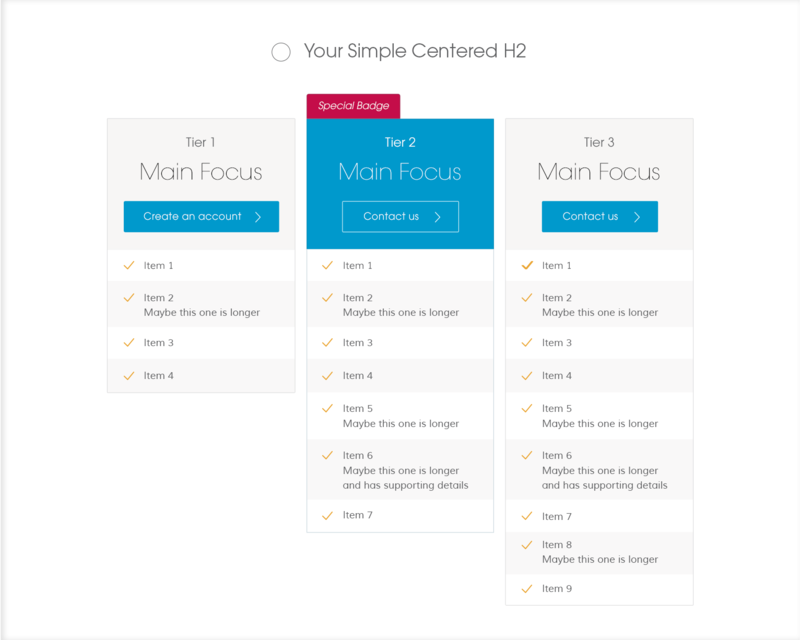 Centered content featuring an H2, icon, paragraph, and two framed columns. Body content featuring an H2, icon, paragraph, and two list columns. The below image illustrates the template in desktop and large desktop widths. At the tablet and mobile breakpoints, the content automatically adjusts to one column (see second template below). Body content featuring an H2, icons, a list, and an image. The below image illustrates the template in desktop and large desktop widths. At the tablet and mobile breakpoints, the content automatically adjusts to one column (see second template below). Body content featuring H2’s, paragraphs, and an image. The below image illustrates the template in desktop and large desktop widths. At the tablet and mobile breakpoints, the content automatically adjusts to one column (see second template below). Body content featuring an H2, icon and three framed columns. The below image illustrates the template in desktop and large desktop widths. At the tablet and mobile breakpoints, the content automatically adjusts to one column (see second template below). Body content featuring an H2, icon and three columns. The three images below illustrate the variety of templates in desktop and large desktop widths. At the tablet and mobile breakpoints, the content automatically adjusts to one column (see fourth template below). Body content featuring an H2, icon and three columns. The below image illustrates the template in desktop and large desktop widths. At the tablet and mobile breakpoints, the content automatically adjusts to one column (see second template below). 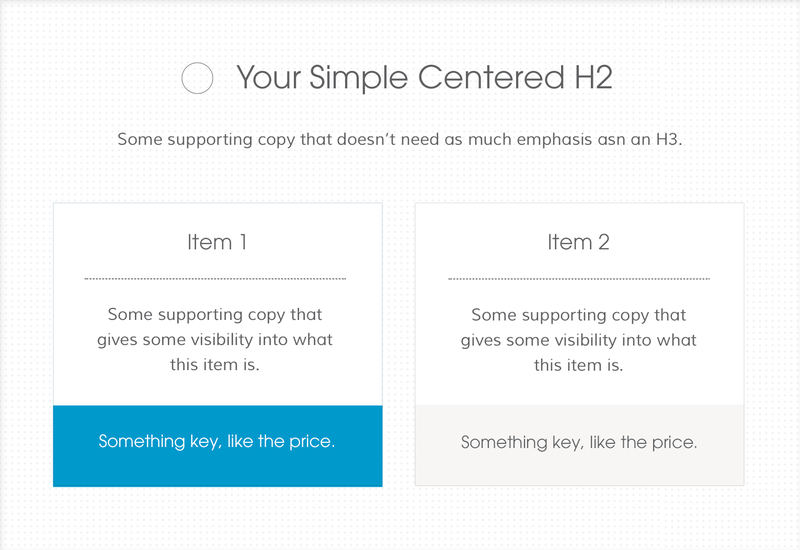 Conclusion template featuring an H1, H3 and primary and secondary call-to-action buttons. The below image illustrates the template in desktop and large desktop widths. At the tablet and mobile breakpoints, the content automatically adjusts to one column (see second template below).